ROCHESTER, N.Y. (WHAM) – There are more plans to have some fun in downtown Rochester. Representatives for some projects included in the Roc the Riverway initiative met to discuss each project’s center city cultural initiative and their progress. It was during this meeting that more information on the “Play Walk” idea was shared. The idea is for an interactive walk, starting at the Strong Museum, where people could play a musical instrument, or hear wind chimes. 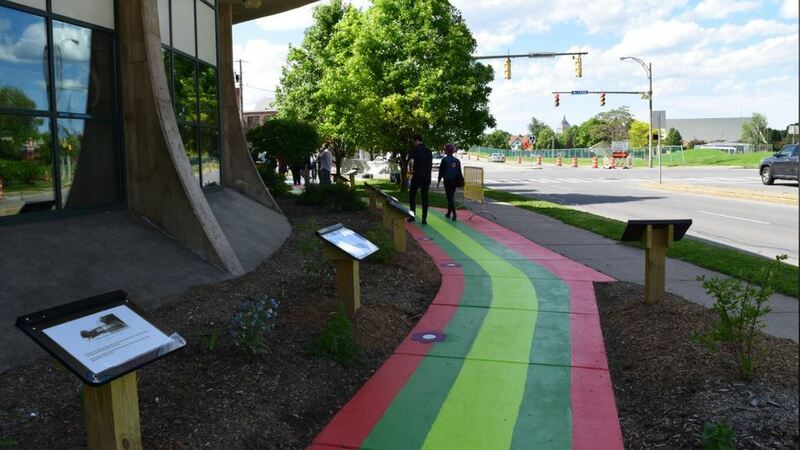 It’s similar to the Story Walk at Rochester’s Phillis Wheatley Library. The sidewalk was transformed into an interactive walk. It’s popularity is inspiring other libraries to do the same.